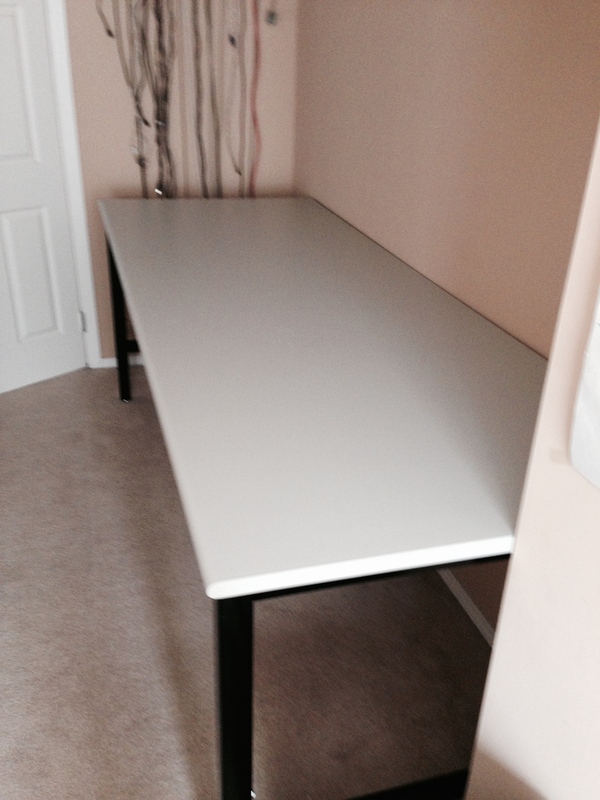 For the longest time my home electronics projects have been done on a 60″ x 30″ folding table in one of our spare bedrooms. My growing collection of project boxes, spare parts, and equipment finally started to put stress on my furniture – particularly my table. The old bowing table in its “clean” state. I spent embarrassingly too long fretting over whether to buy a desk or build it. If I bought something, what should I get? Do I need an “electronics” workbench? If I build it, what should I build it out of? 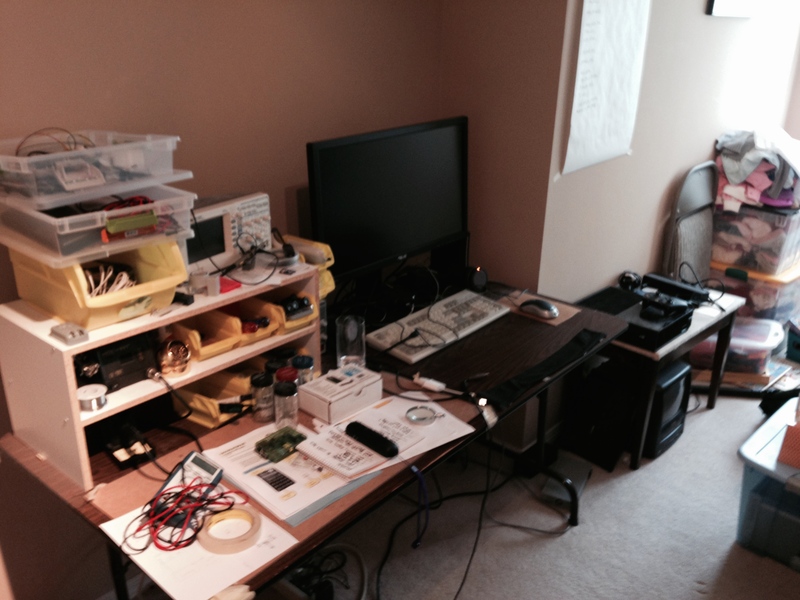 I probably spent five months going back and forth – all the while piling more junk on my table. Spurred on by my better half (and Ministry of Finance), I swallowed my “I can build this” pride and just bought something. I went with a Kennedy bench by BenchPro. Specifically, I got a KF3696 which has the rounded front Formica top. At 8′ x 3′ and well over 100 pounds, it is substantial. It has a very sturdy feel which is exactly what I wanted. I went with a cloudy gray top and black frame. I like the looks very much. I also went with the adjustable legs and set the height at 36″. The bench in its new home. I couldn’t be more pleased with the ordering & delivery. I got a quote from BenchDepot over email and called to confirm the order. The bench came on a 9′ palette delivered to my home by the freight company. 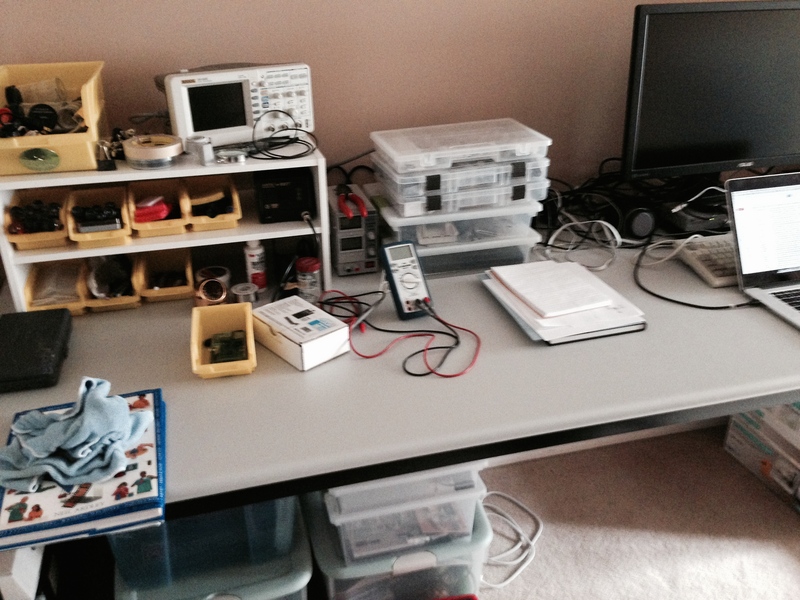 While switching out the table for the bench, I took the opportunity to clean things up a bit and get organized. All of my project and spare parts boxes now fit neatly under the left half of the bench. Power strips and what not are neatly along the back (both on top and bottom of the bench). I have a few additions left that are on their way – a 4′ x 2′ dissipative rubber mat for the left half of the bench for example. That hasn’t prevented taking the new configuration for a few test drives. 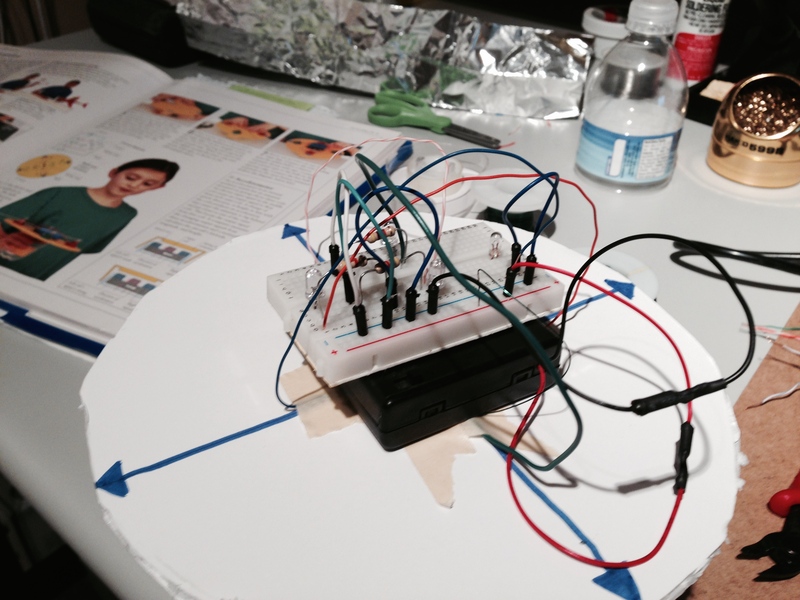 My daughter used the “new lab” to do one of her science experiments (a homemade accelerometer). UPDATE: The rubber mat arrived from All-spec. I really dig this over the previous setup. Very sturdy and is great to work on. 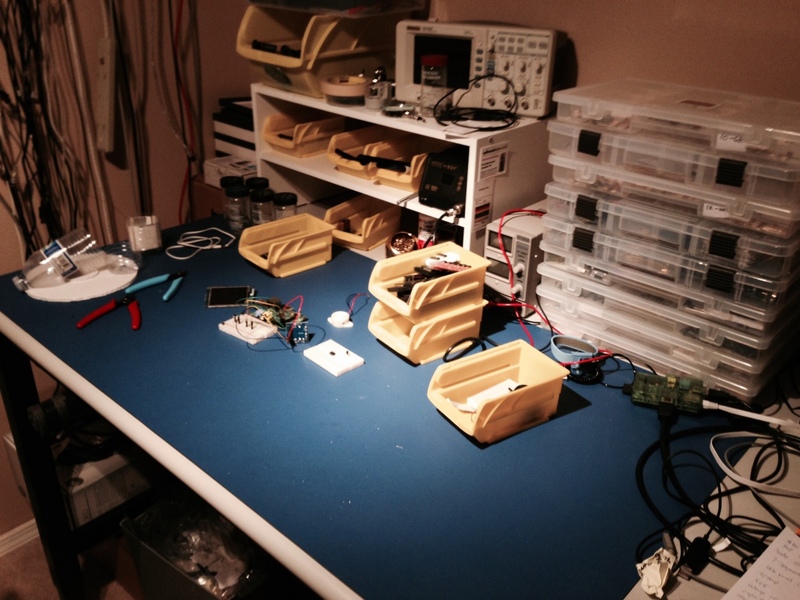 Previous Post Ancient History: Let’s Build Our Own Console!